For Thanksgiving this year, Ciao Italia is having a pumpkin pie recipe contest! Have a special recipe for the best pumpkin pie? 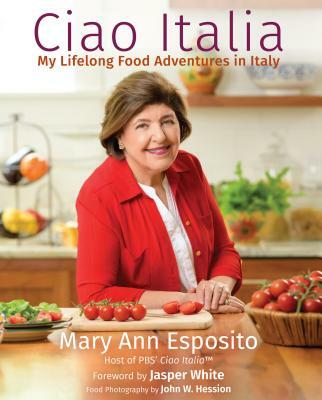 Share it with us by noon eastern on November 20th, and you could win a Ciao Italia apron, mug, and a signed copy of Ciao Italia Family Classics. We will choose the best entry based on the special/secret ingredient, pastry crust tip, and baking technique. To enter, leave your recipe as a comment on Facebook or in the comment section below, or by emailing it to us at info@ciaoitalia.com. Have fun and thanks for sharing your pumpkin pie recipe! 1. Preheat oven to 350 degrees. F.
2. Butter generously a 9-inch deep decorative pie dish. 3. In a medium bowl, blend well the all of the crust ingredient, except the butter. 4. Stir in the melted butter and mix well. 5. Press the crumbs into the bottom and up the sides of the greased dish. 6. Line the crust gently with the apricot jam. 7. Place dish on baking sheet. Set aside. 1. In a medium bowl, mix the brown sugar, sugar, cornstarch, pumpkin pie spice mix, ginger and salt until well blended. Set aside. 2. Using an electric mixer beat the mascarpone cheese and ¾ cup whipping cream on medium speed until smooth and light. 3. Add in the eggs one at a time, and beat until light and fluffy. 4. Add in the pumpkin and the bourbon (or extracts). Beat until well blended. 5. Stir in the sugar-spice mixture until incorporated well. 6. Pour filing over crust. Bake in preheated oven until center is almost set, about 60-70 minutes. 7. Remove from oven and place on rack to cool completely. 8. Cover with foil, and refrigerate until chilled completely, at least 6-8 hours. 1. Using a chilled electric mixer bowl and beaters, beat the mascarpone cheese and the chilled whipping cream until light and fluffy. Do not overbeat. 2. Add in the sugar, ginger and bourbon. 3. Beat until just incorporated. 1. Spread the ginger mascarpone cream over the entire pie. 2. Sprinkle with some finely chopped crystallized ginger and finely chopped nuts. 3. Cut into 8 wedges and serve on decorative dessert plates. Remove disk from the refrigerator. Let sit at room temperature for 5-10 minutes in order to soften just enough to make rolling out a bit easier. Roll out with a rolling pin on a lightly floured surface to a 12-inch circle; about 1/8 of an inch thick. As you roll out the dough, check if the dough is sticking to the surface below. If necessary, add a few sprinkles of flour under the dough to keep the dough from sticking. Carefully place onto a 9-inch pie deep dish plate. Gently press the pie dough down so that it lines the bottom and sides of the pie plate. Use a pair of kitchen scissors to trim the dough to within 1/2 inch of the edge of the pie dish. Prick the bottom of the crust and place in the refrigerator until the filling is done. Combine apple butter, orange marmalade, pumpkin, sugar, salt and spices in a bowl. Stir in eggs. Gradually add milk and mix well. Pour into unbaked pie shell. For topping: Place the flour and sugar in the food processor. Blend until the mixture resembles coarse crumbles. Stir in walnuts, zest and drained apples. Sprinkle the streusel on top of the pie to completely cover. Bake at 425 for 50-60 minutes or until a knife inserted in the center comes out clean. Chill pie 6 hours to overnight before serving. Chantilly Cream: In a large bowl, beat cream until it begins to thicken. Add the confectioners’ sugar and Orange juice that you saved and beat until stiff peaks form. Refrigerate until serving. To serve: cut into 8 slices and top with a nice dollop of Chantilly cream on your favorite plates. Enjoy! - I like to try to use all of something in a recipe, if possible. What do you do with the rest of the orange after you take its zest? Give some flavor to the dried apple! Only need some zest? Where else can you put it to add a surprise flavor? -I return the pie crust to the refrigerator so that it does not become to warm and soft. It will allow for the crust to stay flaky. -If the crust begins to burn or become too dark brown, place tin foil around the crust and lower the temperature of the oven. 1. Mix all of the dry ingredients together until well blended. 2. Press evenly and firmly into the bottom and up the sides of a 9 inch deep glass pie dish. Set aside. 2. In a large bowl, whisk together the ingredients until smooth and well blended. 2. Mix all of the pecan streusel ingredients together by hand. 3. Place on lightly greased baking sheet and bake in preheated oven about 8-10 minutes until, toasted and golden. 1. Shortly before serving the pie, beat the whipping cream in a cold electric mixer bowl using cold whisk until soft peaks form. 2. Add in the spice mix and the maple syrup. Add the bourbon, if using. Beat until just stiff peaks form. 1. Fold in pumpkin filing mixture into the crust. 3. Reduce temperature to 325 F. degrees. Continue baking another 30 minutes or so, until the filing is set in the center. 4. Transfer to rack and cool completely. Cover and refrigerate, if using next day. 5. Bring pie to room temperature. Spread the maple cream evenly over the top of the pie. 6. Sprinkle the toasted pecan streusel over the cream. Serve. Tip-by substituting pecans for the flour, and adding maple syrup in the crust, you get another layer of flavors that works so nicely with the holiday season and flavors. Tip-adding whipping cream makes the pie filing creamier. Likewise, the maple syrup and brown sugar in place of regular sugar in the filling, adds the sweetness but with the flavors that we associate with the holidays.